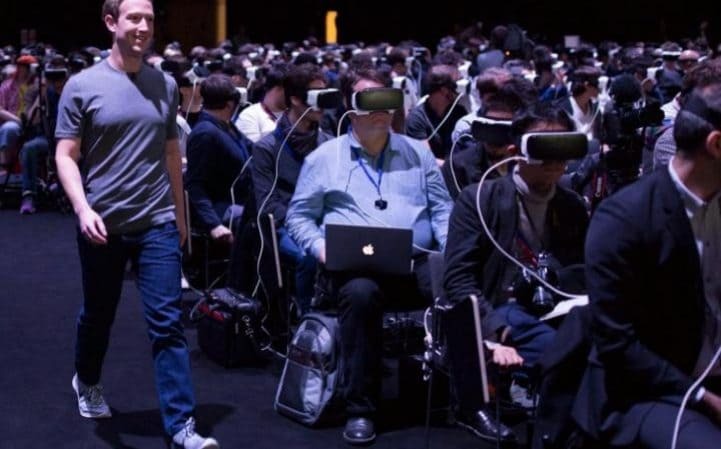 A few weeks a go a photo of Mark Zuckerburg walking past hundreds of people wearing virtual reality headsets at a Samsung event in Barcelona caused quite a stir. The Telegraph newspaper called it a "terrifying dystopian future". This week I am writing about technology in the classroom, and this photo got me thinking - could the classroom of the future look like this? I'm certain that mainstream education uses for these virtual reality headsets are not far off. I've never tried one so don't know what power (if any) they have to help people learn. Could future classroom looks like the Zuckerburg photo? If so, is there a place for a lecturer in this classroom? Why would students come into a classroom to put on a VR headset anyway? Of course, some subjects such as Science, Geography, and Paleontology, would lend themselves more readily to virtual reality. One of my main subjects is Statistics, and I don't quite see a use for VR just yet. Nevertheless - technology such as this has the potential to really make a difference to learning and teaching. Educators will increasingly become content developers, and very specialist skills would have to be grasped in order to develop content for VR. A lecture may well be a very different thing in the not-too-distant future compared to now. Will the the traditional role of the Lecturer survive? I think not - Lecturing as it has been for hundreds of years is dead, or at least dying. In the past 10 years alone I have seen huge advances with the use of technology for learning and teaching. What will the education landscape look like in another 10 years? We don't know of course, but later this week I'll speculate on this.